Our day started with a great breakfast, our package includes a full breakfast not a continental one. We paced ourselves and were not hungry again until dinner. We did love the sign asking the really hungry tourists not to make a pack lunch from the buffet. As I sat and ate, the rain was hitting the windows as if someone was throwing buckets of water at them then swiping them with branches. I have plans on running this morning and I am trying to come up with as many excuses as I can not to go out there. “But no!” I hit the pavement and go for it. After all, I learned young that waiting for the weather to change will get nothing accomplished. It hurts! It really hurts! Icelandic rain in November is like glass shards coming at you sideways. Against all odds I make it to Hofdi House. 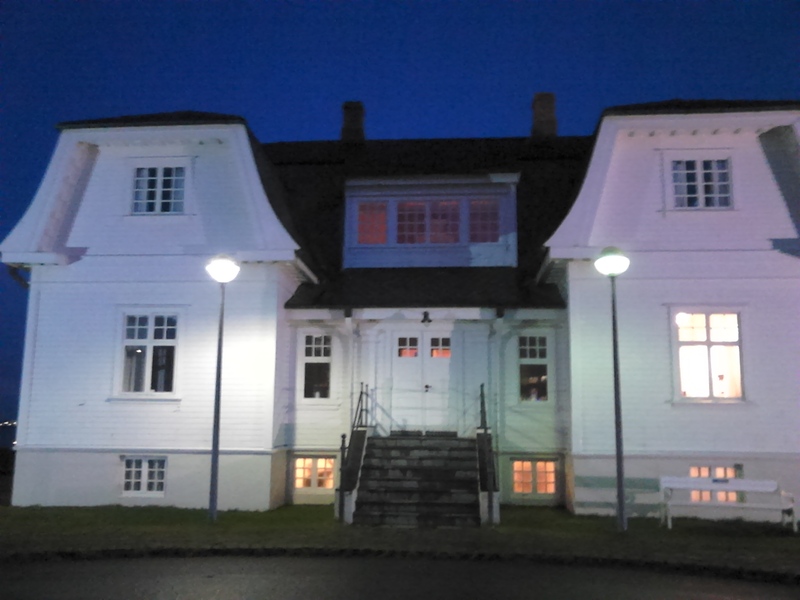 This very Icelandic looking white house was the site were Reagan and Gorbachev signed the agreement to end the Cold War in Oct. of 1986. You can’t go in the house and look around so it does not matter what time you arrive. 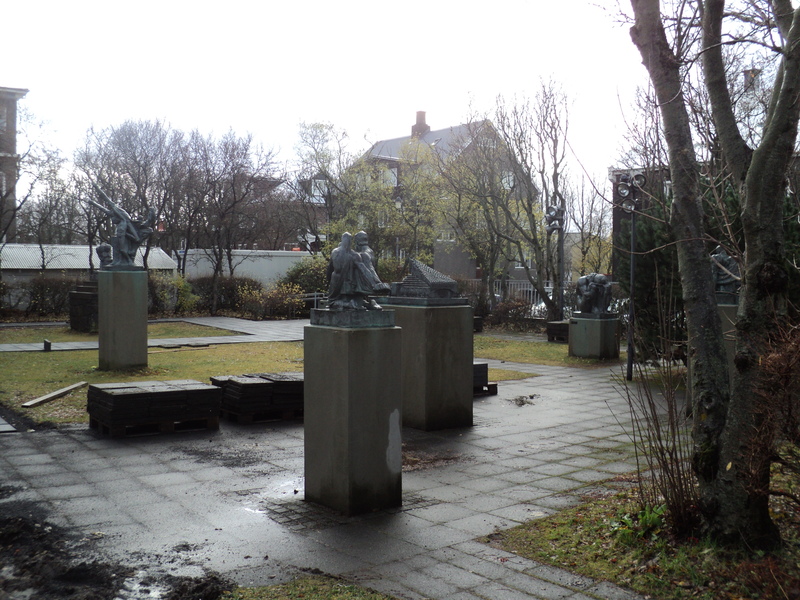 This is also the site of the first radio communication between Iceland and the rest of the world, and most recently a piece of the Berlin Wall. The weather changed after my self guided tour, so I could continue my run with out the benefit of the glass shards. (I did check out some of the runs and races in Reykjavik while we are here on Running in Iceland but none of them worked out). I am cold and wet once back at the hotel, so decide that we should pay the 10. euros for the wellness center. Well as Hannah pointed out that was a very very bad decision. I am so please we bought the Reykjavik card. We planned our day according to what we wanted to see. We have more then paid for the card by the amount of galleries and museums we have visited plus circumnavigated central Reykjavik. When I was here a few years ago there was a hot dog kiosk,Islendingar Borda Ss Pylsur that was all the rage. I mentioned to Hannah that we will have to check out the Icelandic lamb hot dogs with the great mustard. 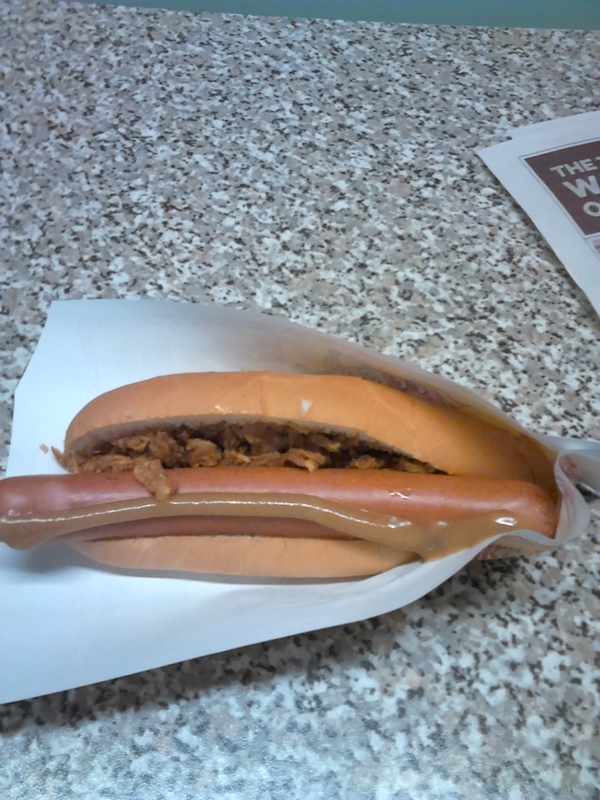 Well it seems progress has sent the iconic hot dog stand packing. A big shiny new hotel is going in. In fact there are a lot of bright shiny new things going in around the city . It seems that Reykjavik is pretty much under construction much to the chagrin of the buses and any one else that wants to get through town We did find the company’s street store and had our hot dog. Our final event for the day was a Northern Lights adventure to Fontana Spa with dinner. Dinner was great with lots of traditional foods like salmon, cod potato salad and an orange pea (lentil) and pineapple dish yummy soup and so much more. After that we headed to the hot pools. We were surrounded by candles and snowflakes but the Northern Lights would not be making a appearance tonight. 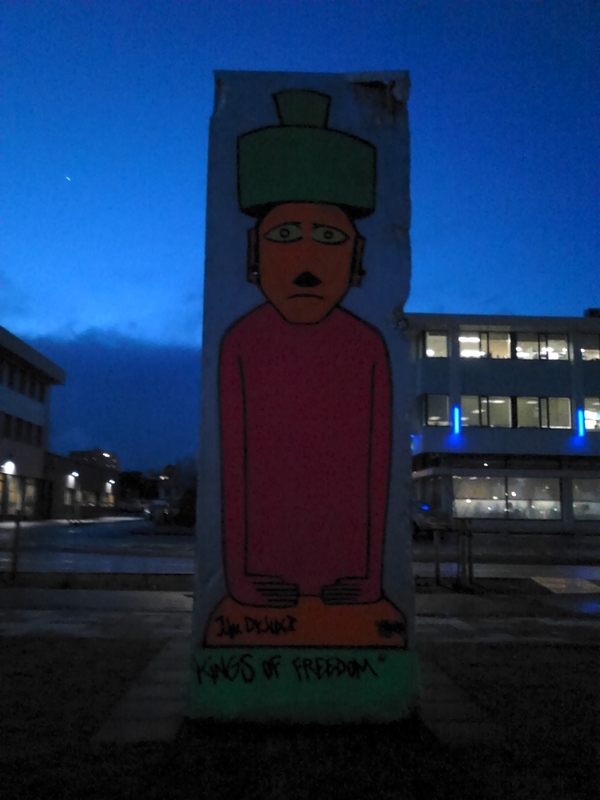 This entry was posted in Iceland and tagged berlin wall, day trip, fontana spa, Hofdi HOuse, hot dog, Iceland, Reykjavik, Reykjavik card, Running in Iceland. Bookmark the permalink.